SMPlayer is considered one of the best multimedia players in media today, since it has the most varied and useful compatibility codecs that today's market requires. 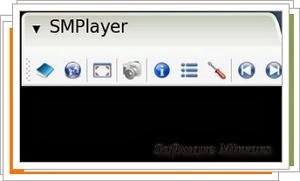 If you wish is to maximize the multimedia features of your computer, SMPlayer is exactly what you need, so you can watch your favorite videos without complications, besides it is compatible with the currently used formats such as GP, AC3, APE, ASF, AVI, BIN, DAT, DIVX, DV, DVR-MS, FLV, ISO, M1V, M2V, M4V, MKV, MOV, MP3, MP4, MPEG, MPV, MQV, NSV, OGG, OGM, RA, RMVB, TS, VCD, VFW, VOB, WAV, WMA, WMV. But perhaps one of the best features of SMPlayer, is that once closed it, can continue media playback the next time it is executed.